Barrell Craft Spirits founder Joe Beatrice likes having fun with his company’s whiskey releases. Each batch is different, and each one interesting. Batch 004 sees an 11-year-old whiskey finished in rum and rye barrels. The whiskies that went into this blend were distilled in Tennessee and Indiana. Why just a whiskey and not a bourbon? It’s because used barrels were utilized for maturation. To be a bourbon, only new barrels can be considered (in addition to several other criteria). Transparency is something the company believes in, as they’ve disclosed all of the information above. What they haven’t mentioned is the mash bill breakdown other than corn, rye, and malted barley were used. The rum barrels used for secondary maturation were left over from Barrell Rum’s delicious first batch, which just won Best Overproof Rum at the San Francisco World Spirits Competition (Barrell Bourbon Batch 011 also won Best Bourbon at the same competition). Each whiskey from Tennessee and Indiana underwent a secondary maturation in these rum barrels or rye whiskey barrels, resulting in four different combinations. This batch was blended using various barrels of the finished whiskies. 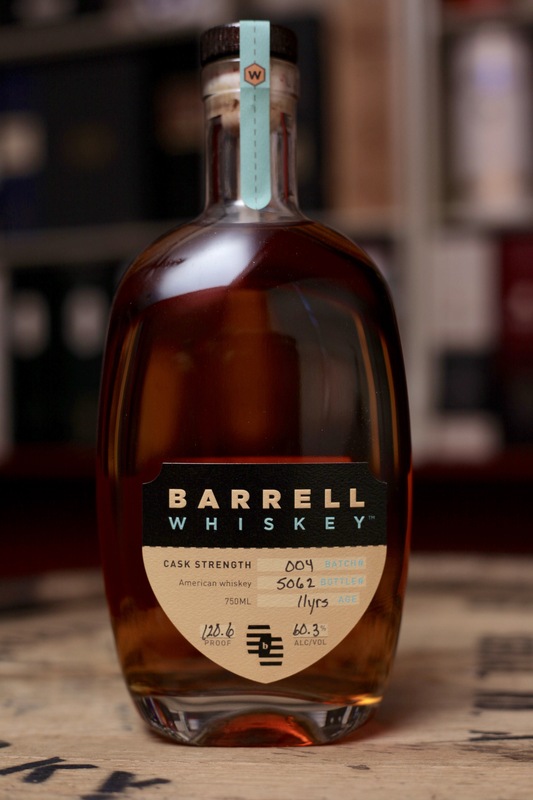 Barrell Whiskey Batch 004 is bottled at a cask strength of 120.6 proof. The rum finish is evident on the nose, providing burnt sugar cane and green banana notes to buttered sweet cornbread. Hints of tropical fruit mingle with caramel chews, vanilla and some spice. On the palate, this whiskey is…unusual. Just like the nose, the foundation whiskey provides a great base to let those finishing casks shine, with its notes of corn pudding, vanilla, and baking spice. The rum casks add green plaintains and sugar cane, while the rye casks provide a slightly sharp spice note along with some herbs. The long finish is a little hot at first, leaving behind some spiced tropical fruit. Thanks to Barrell Bourbon for the sample. As always, all thoughts and opinions are my own.